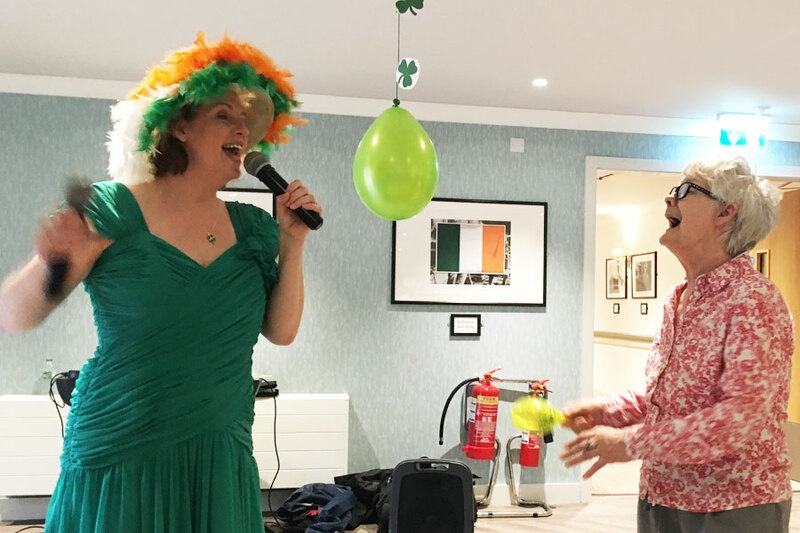 Celebrating the day that St Patrick converted the Irish to Christianity one day early, meant it was all things Irish at Whittle Hall today. 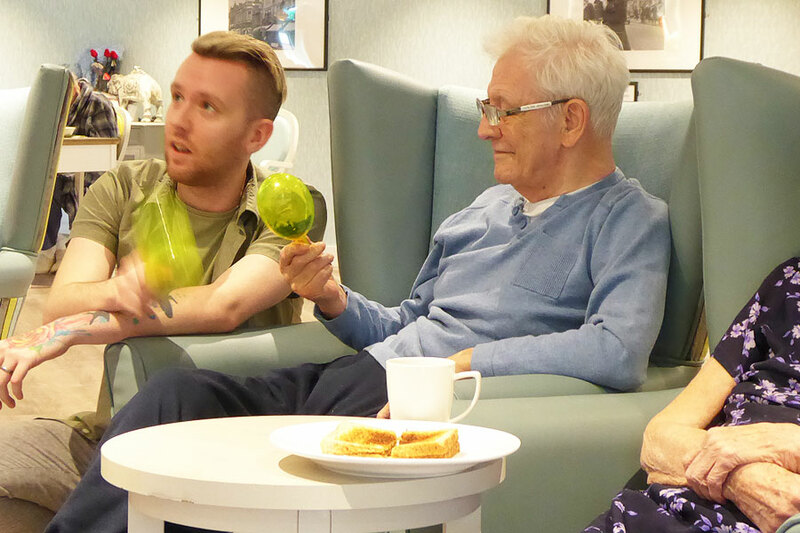 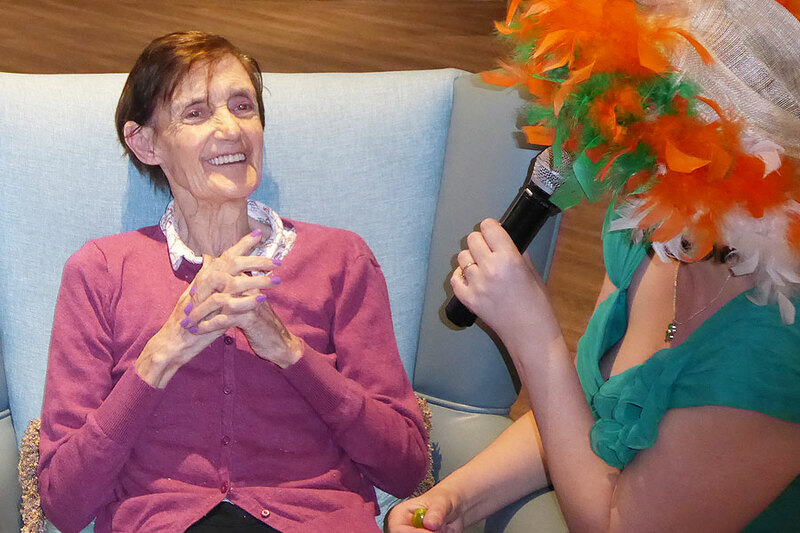 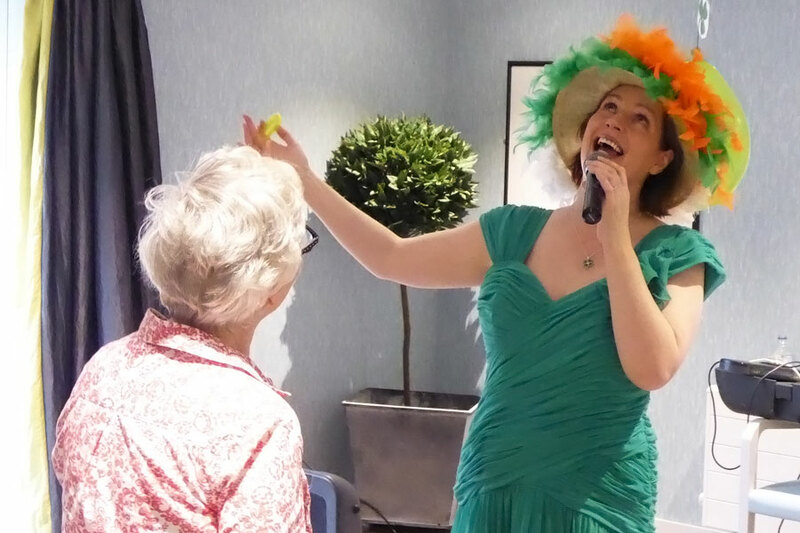 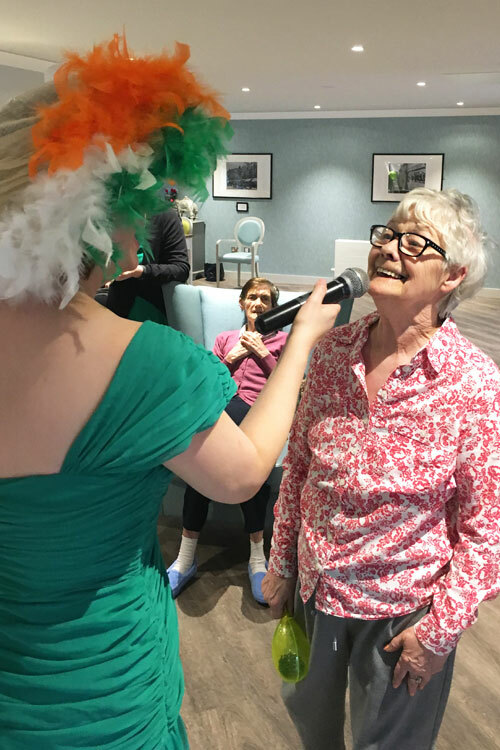 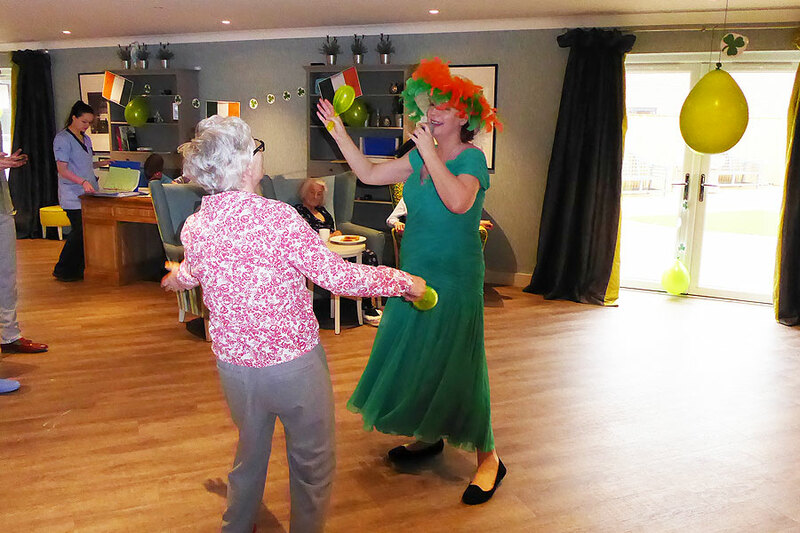 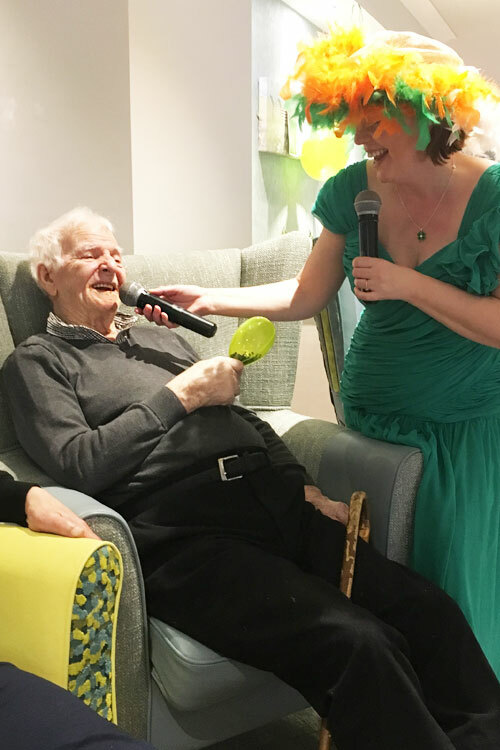 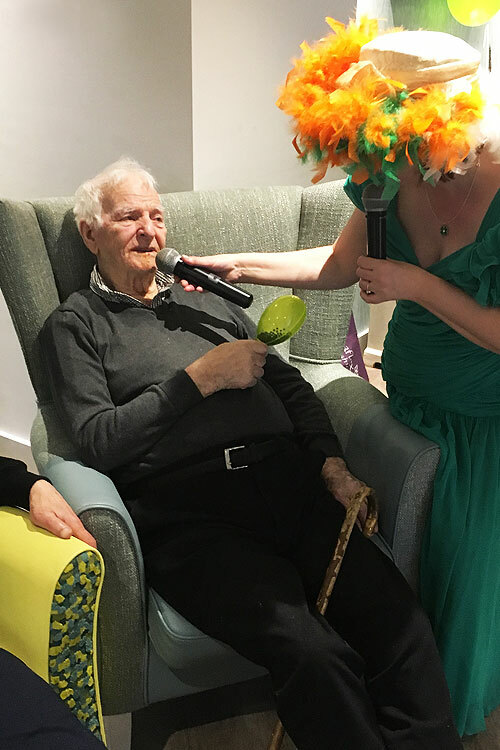 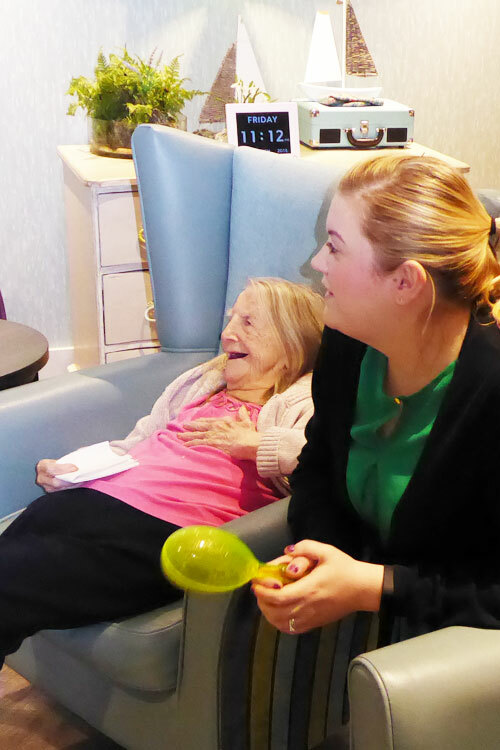 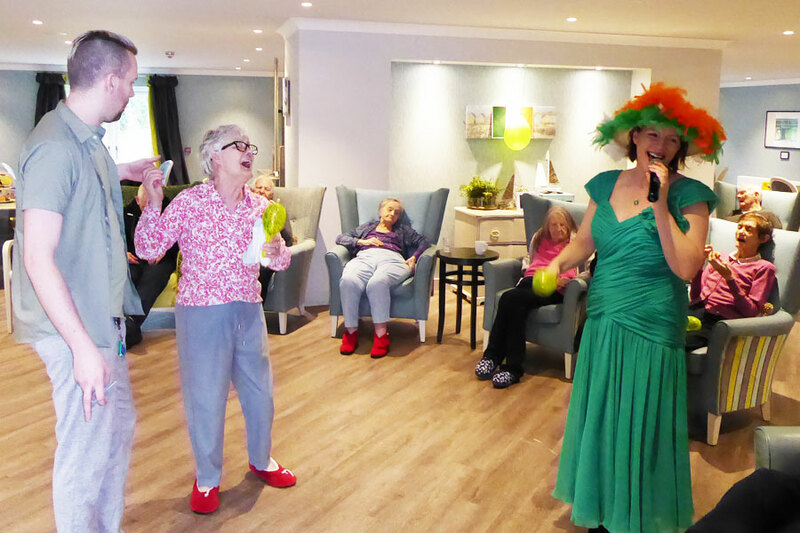 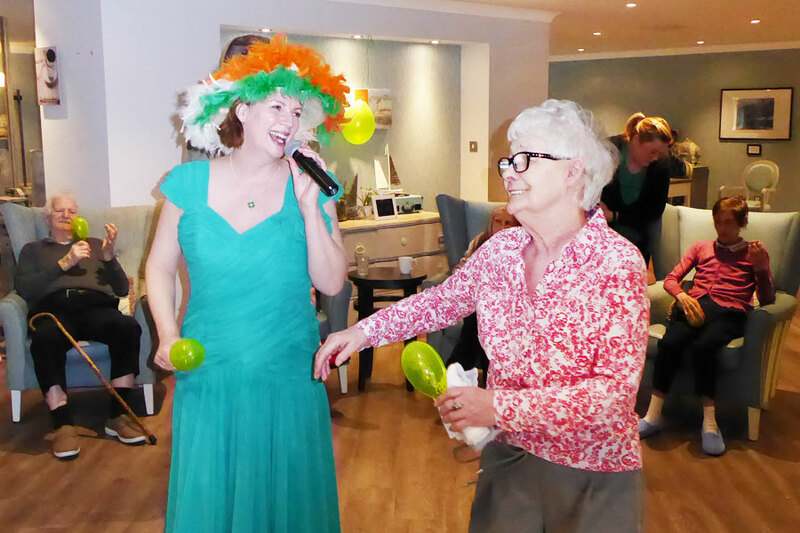 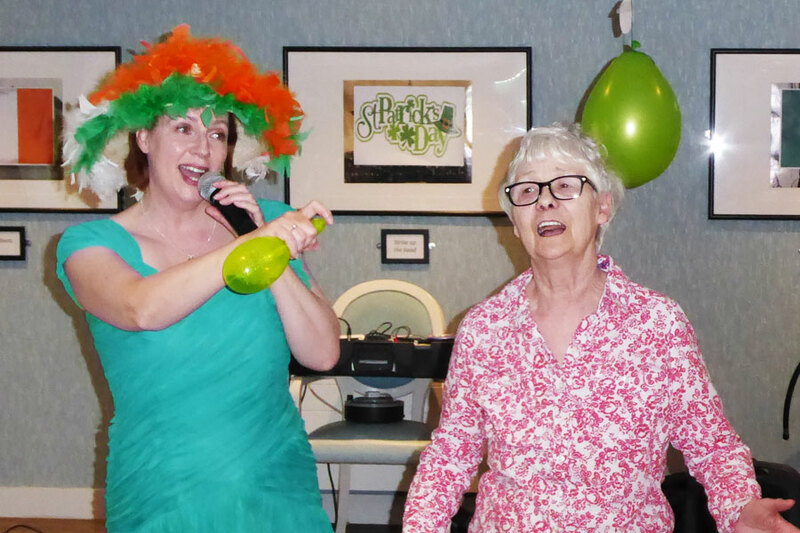 We had some fantastic entertainment from Sandra Currie who sung lots of Irish songs and had residents up on their feet and dancing. 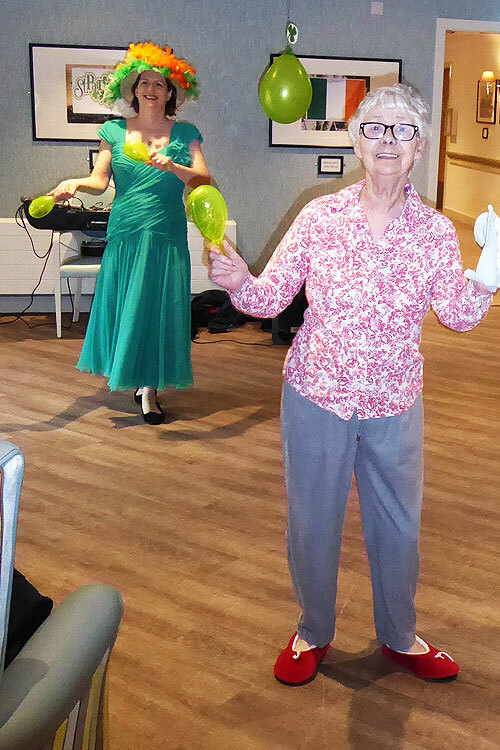 In fact Eileen Keneally was on her feet dancing for the whole show!! 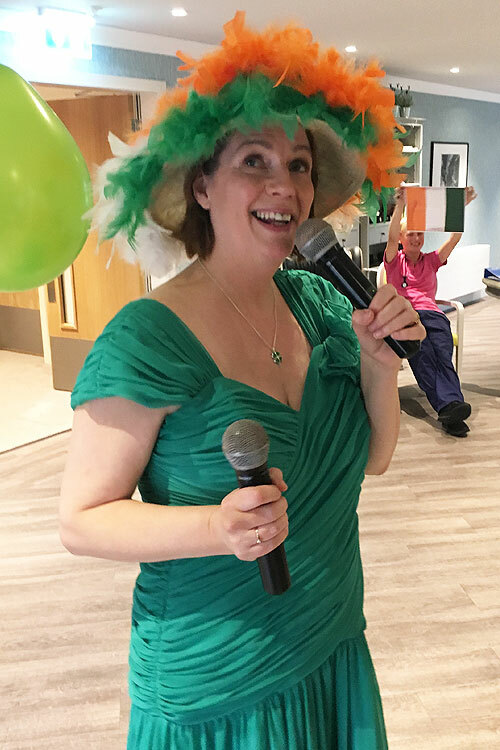 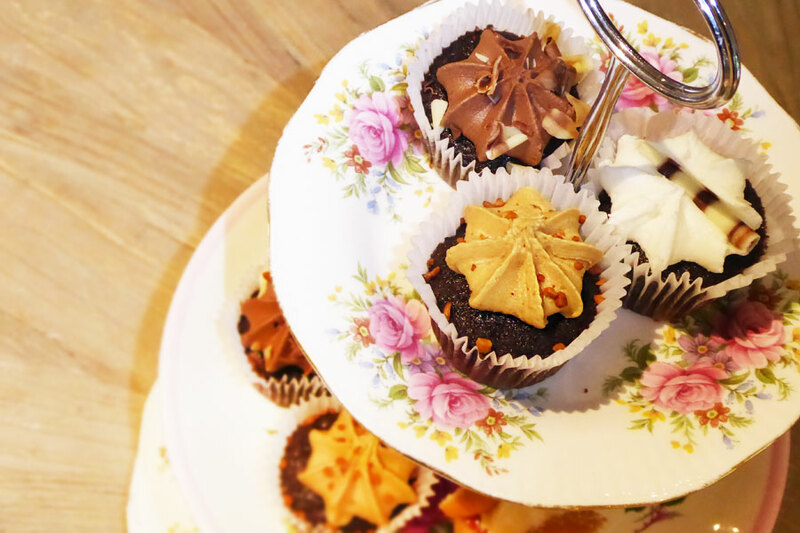 Some fabulous cakes were accompanied with a little tipple of Irish Whisky or an Irish cream and the days menu had a taste of Ireland too. 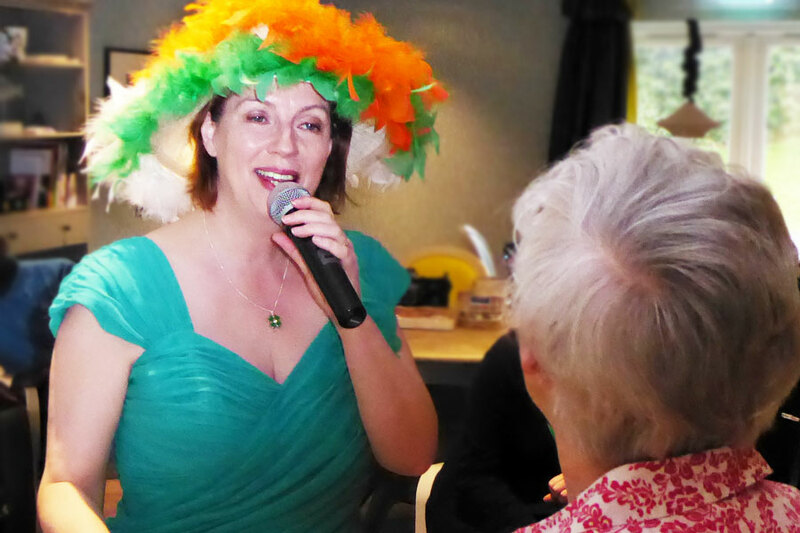 There’s an old Irish saying that says ‘If you are lucky enough to be Irish…. 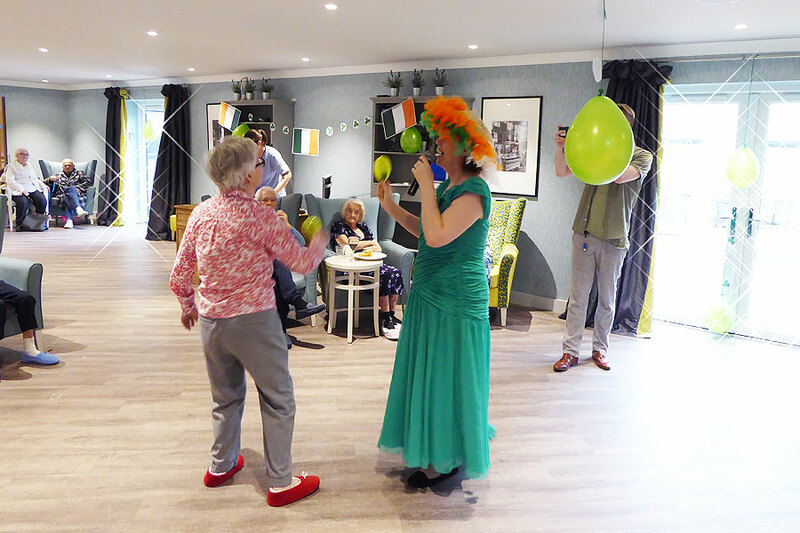 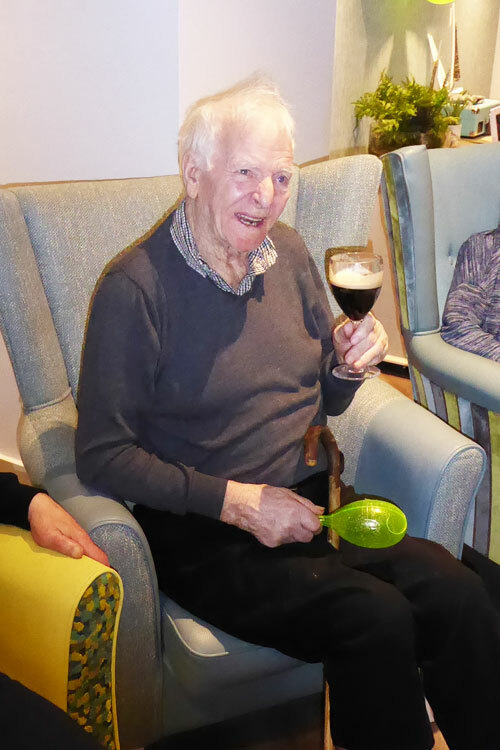 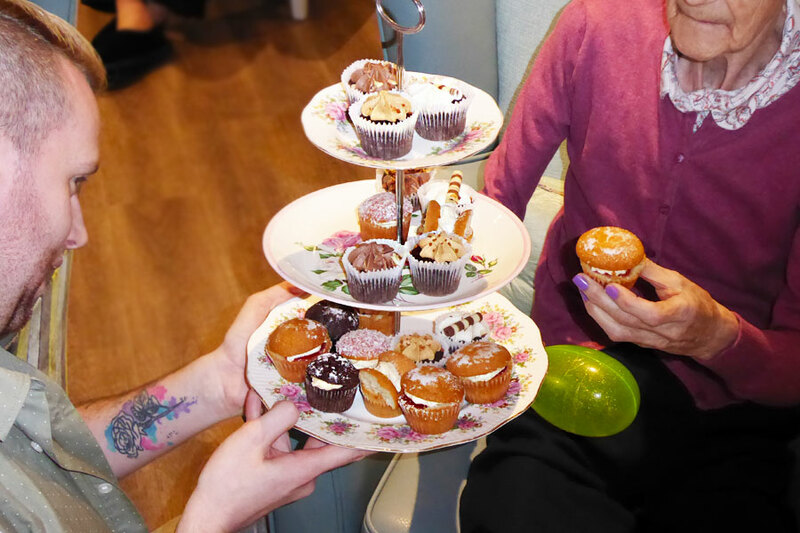 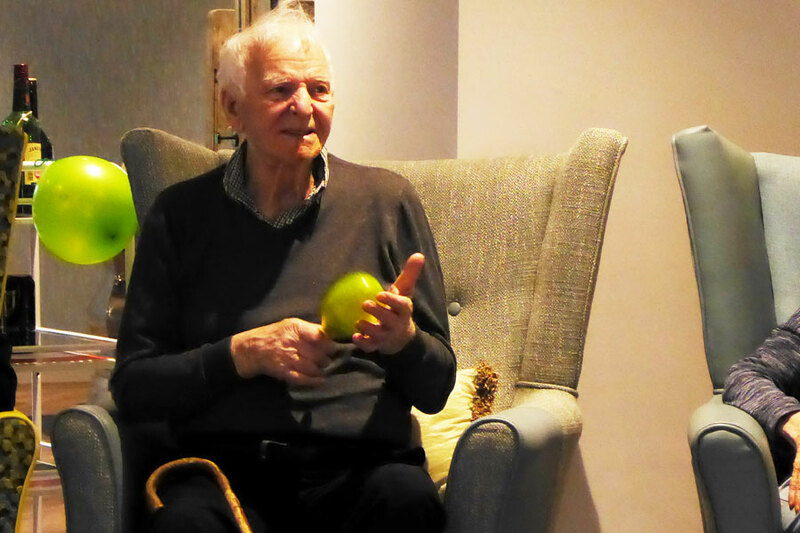 You’re lucky enough.’ Well today all our residents did have the luck of the Irish. 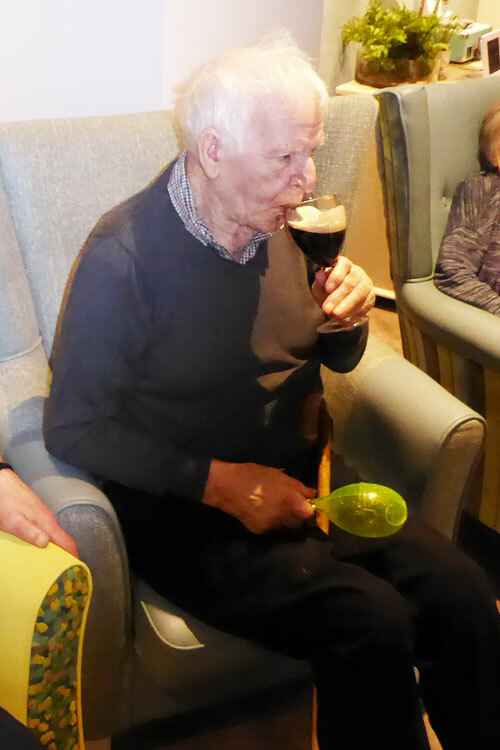 What a fabulous way to mark the day. 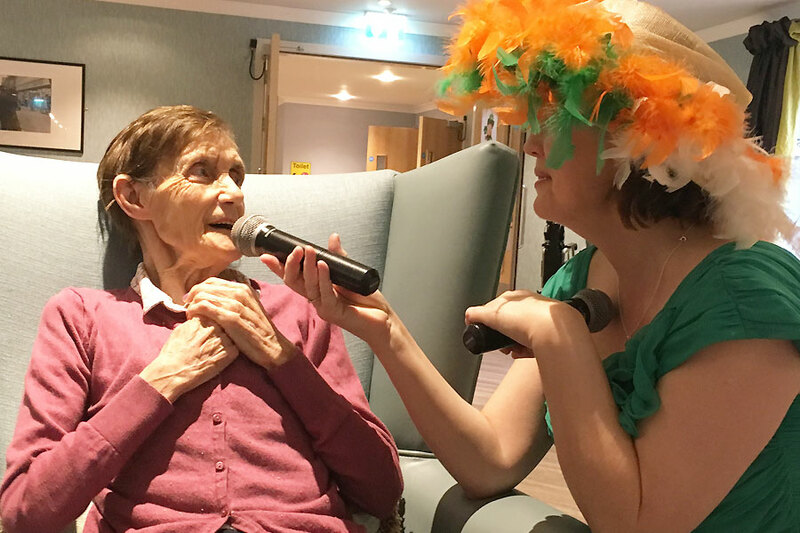 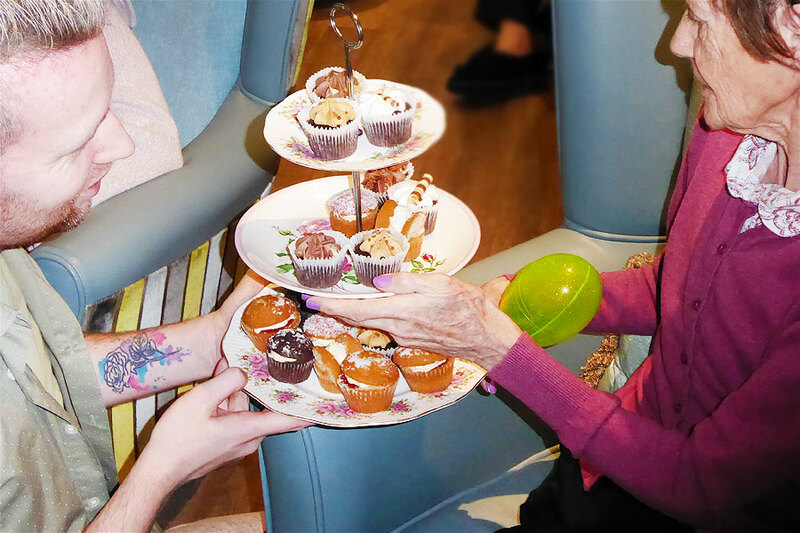 You may or may not know this, but Sandra Currie has recorded a therapeutic CD called ‘Sweet and Low’ which is ideal for people suffering from dementia. 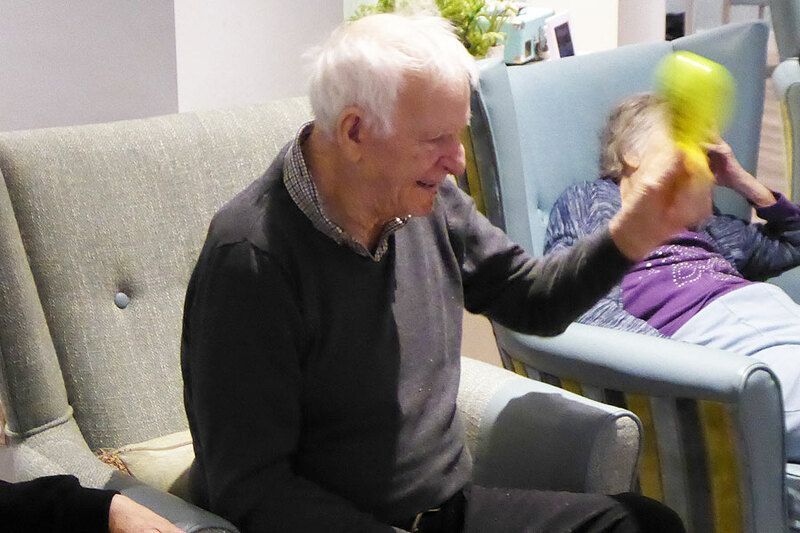 Whittle Hall often play this in our hub areas. 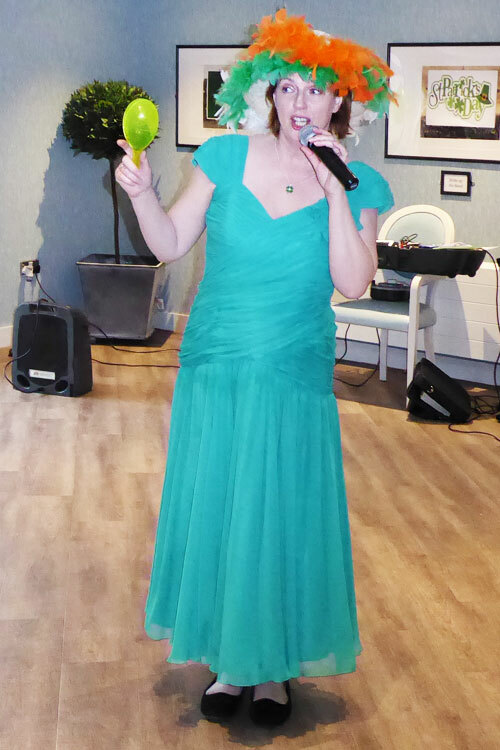 If you’d like to hear Sandra for yourself visit her website here. 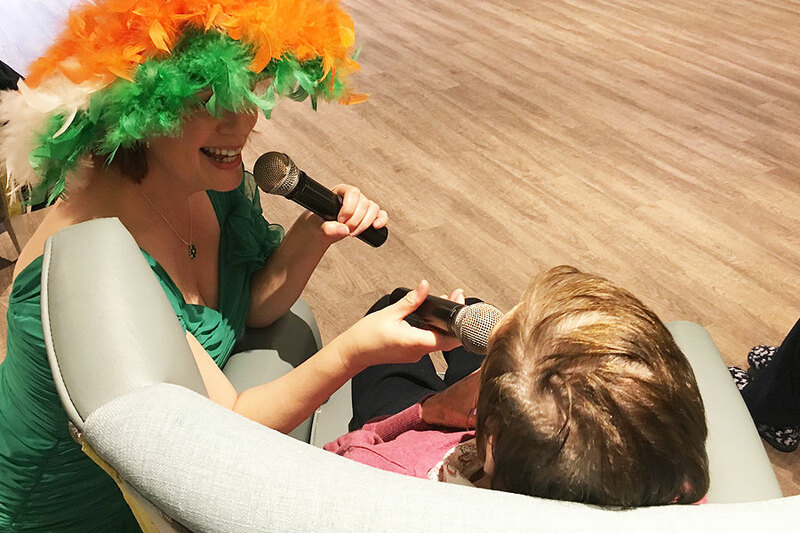 She’ll be sure to make Irish eyes smile. 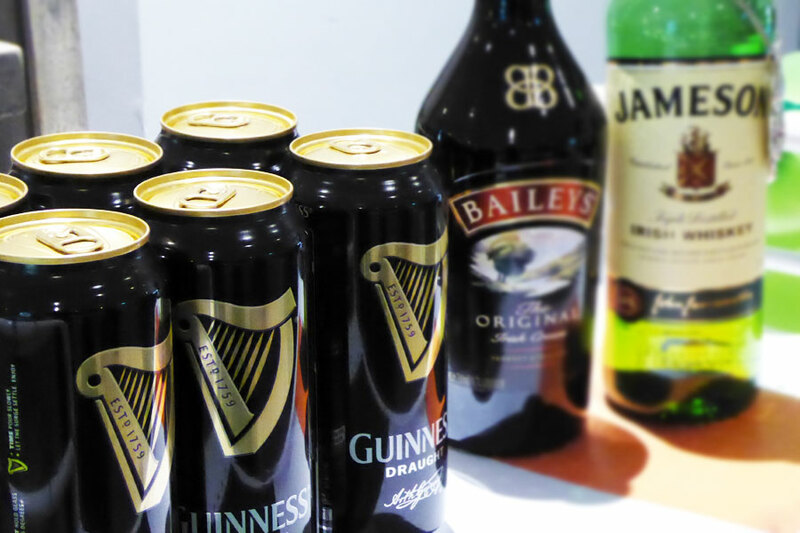 To be sure, to be sure.